It's safe to assume that everyone has heard of Hog's Breath Cafe (if not, then the rock you're currently living under must be awfully warm! Just kidding... sort of), and after years of seeing the television ads and being allured by all the pink logos and pictures on my screen, I finally decided to try it out. 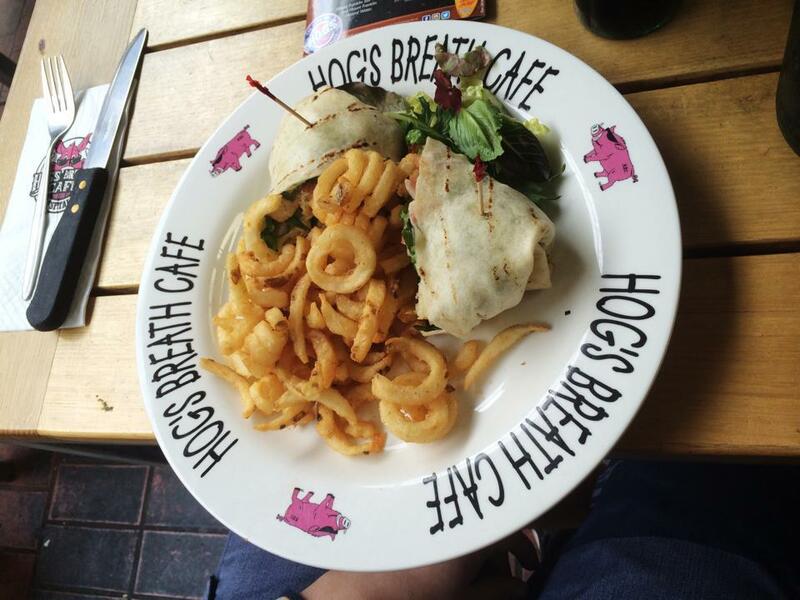 There are many Hog's Breath cafes around Australia. In fact, as of December 2011, there was a total of 69 - as well as 3 in New Zealand, 2 in Thailand and 1 in Singapore. I personally ventured to the Knox City location. Firstly, the decor was adorable. A lot less pink than I was expecting (though there is still splashes of it all around), and a lot more country-western "pub" style - with class, of course. There's a delightful range of food that is all very well priced for a restaurant (or "saloon", as they are also known as), and many meal names have the word "Hog" incorporated into them as a cute pun. I ordered two Hog-etisers (see what I mean about the cute puns? ), the bruschetta and Hog Tail Fries Spectacular (ie: curly fries with honey sweet chilli and Hog's Breath ranch dipping sauce). I know I won't need to sell you on the fries because curly fries are one of those things that nearly everyone instantly loves, and these are no different. The sauces were very nice, and I regretted not purchasing a bottle of their Hog's Breath ranch dipping sauce when I was there. I am a huge fan of bruschetta and find that it's pretty much the same no matter where I go, but it is still absolutely delicious and a perfect size for someone who doesn't eat big meals a lot, like me - or someone who fills up on curly fries, like me. The chicken caesar wrap was also delightful, though it was quite small for the price. They attempt to disguise this fact by piling more curly fries onto the plate, which I'm not complaining about, except for the fact that you don't get any sauces with them, and I can never eat chips on their own. Still, I was very happy overall and will definitely go back again try some new things as there were so many cocktails and sundaes on the menu that sounded amazing. Plus, I really want to see the decor again! Why? Because you know you love curly fries! 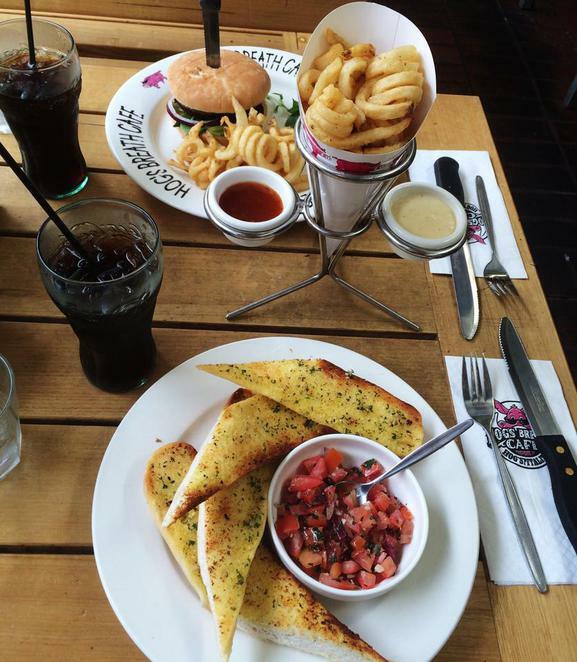 I first visited the Hog's Breath Cafe in Cairns in the early 1990's. It was still very new and different back then.